Learn a clever way to ensure that intersecting seams match exactly. 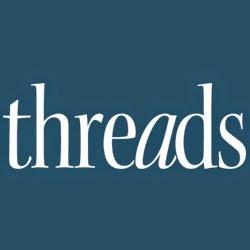 Threads Contributing Editor Kenneth D. King is a pro at inventing smart ways to execute tricky sewing tasks. In this video tutorial, he addresses the challenge of aligning seams that cross. Vertical seams that intersect a waistline seam are a common example: Often, the bodice’s vertical seam ends up a small distance from the skirt’s corresponding vertical seam, no matter how carefully you pin or baste beforehand. Kenneth’s method includes a key hand-stitching step: The opposing seam ends are anchored together with an ingenious set of temporary stitches. Once fixed in place with these stitches, the fabric layers won’t shift as you complete the intersecting seam by machine. Dear Kenneth, I noticed that your seam allowances seemed large. What seam allowance do you usually use? Wonderful technique and I can’t wait to make a sample. Thank you. I love it! I agree with leaving fabric inside the garment in case of alterations done later. Did I see that finishing correctly? 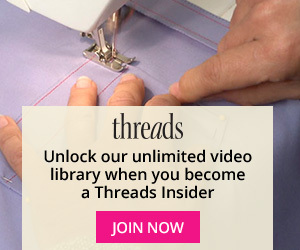 Did you really knot your thread? I have learned that 2-3 teensy stitches holds thread better than any knot - and knots leave a 'bump' that friction can wear away. Not as much of a problem in a lined garment, I agree.